Among the Eastern Band of Cherokee Indians in North Carolina, there are fewer than 200 first-language speakers of Cherokee. 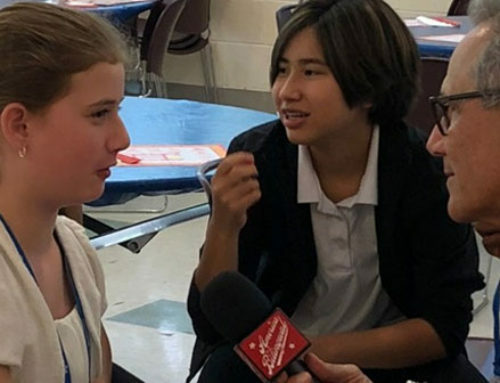 In Episode 30 of America the Bilingual, you’ll hear from people, both Cherokee and non-Cherokee, who are finding ways to embed the Cherokee language in classrooms and music, giving rise to a new generation of Cherokee speakers in the process. When gold was discovered in Georgia in 1829, the news did not bode well for the Cherokee people, whose ancestral homeland encompassed this region. President Andrew Jackson, ignoring the decision of a U.S. Supreme Court judge that his “Indian Removal Act” was unconstitutional, forced the Cherokees on a 1,000-mile march into Oklahoma—the infamous Trail of Tears. But the U.S. government prohibited Cherokee to be spoken in schools. Eventually, that meant it wasn’t spoken at home, either. That’s led to there being only about 200 Cherokees in the Eastern Band of Cherokee Indians for whom their heritage language is their first language. But today, these Cherokee people, who live in western North Carolina, are restoring what was theirs. In their schools, students are learning the Cherokee language. 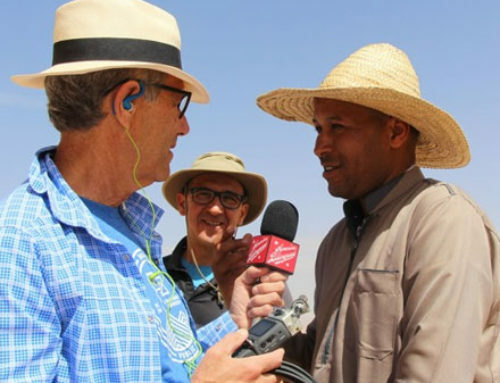 What doesn’t stop is the resolve of the people Steve interviewed for this episode. His visit to North Carolina this summer coincided with Cherokee teachers from the Cherokee Nation in Oklahoma meeting with teachers from the Eastern Band of Cherokee Indians. The comments you’re about to read are in addition to what you’ll hear in the podcast. Renissa McLaughlin with Adult Language Coordinator Micah Swimmer, on the grand marshal float of the New Kituwah Academy’s 2016 fall fair. Kathy Sierra, who uses songs to help children learn the Cherokee language and history. 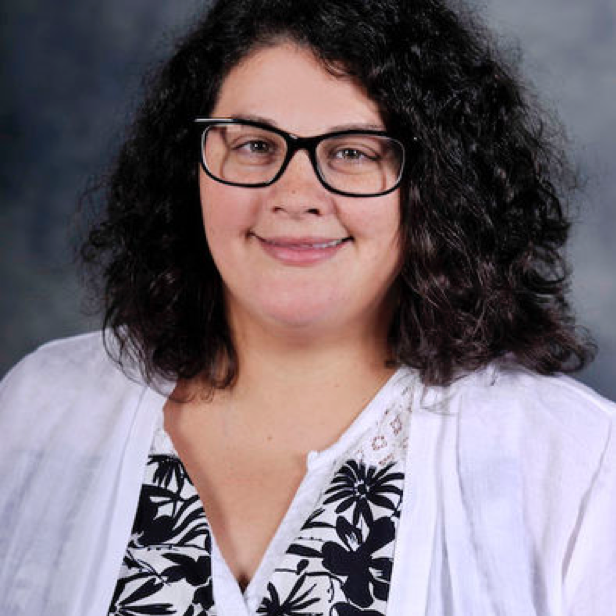 Sara Snyder, who explores how music can be used in endangered-language programs. 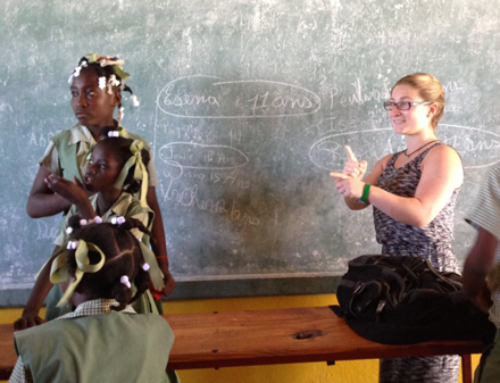 Hartwell Francis is the Education Curriculum Developer for the Kituwah Preservation and Education Program. He will tell you that studies conducted in Canada, a land of many First Nation indigenous peoples, have found that children who know their heritage language are less likely to commit suicide in later years than those who don’t. Although no Native people in North America possessed a written language when the Europeans first arrived, the Cherokees have had one since 1821 (which led to that high literacy rate). 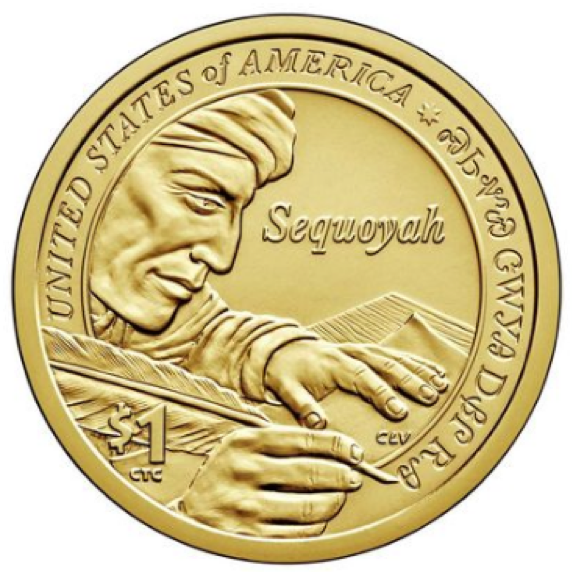 Sequoyah, as depicted on the 2017 commemorative Native American $1 coin of the U.S. Mint. In her interview, Kathy Sierra told Steve of Sequoyah’s recent induction into the Oklahoma Hall of Fame. It is thanks to Sequoyah, she pointed out, that it’s still possible to learn to read and write Cherokee, even if you have no speaker to teach you. But Sequoyah is actually helping the children who are now learning to speak Cherokee as well. Kathy was involved in repurposing the tune of “Yankee Doodle Dandy” with an all-Cherokee version that celebrates Sequoyah’s single-handed accomplishment. “The kids pick up all the Cherokee words just like that,” she said of the tune. 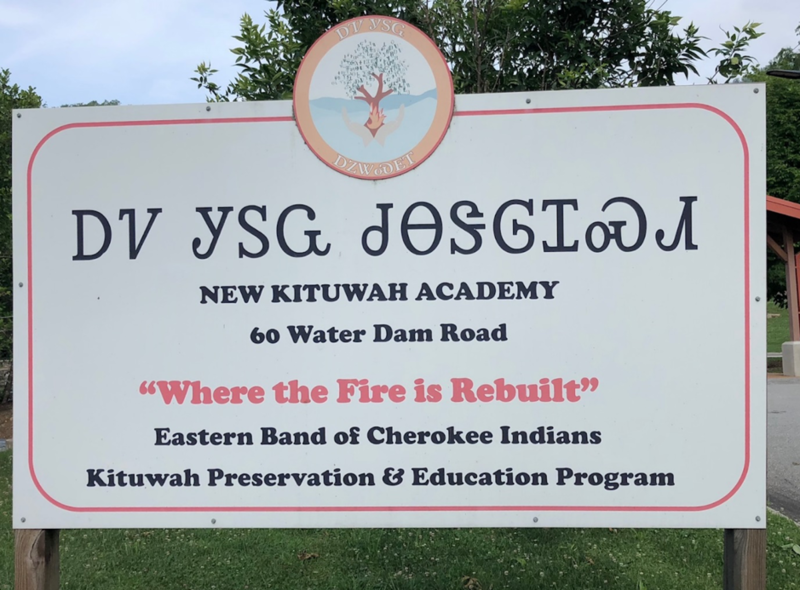 Students at the New Kituwah Language Academy learn how to both speak and read Cherokee. 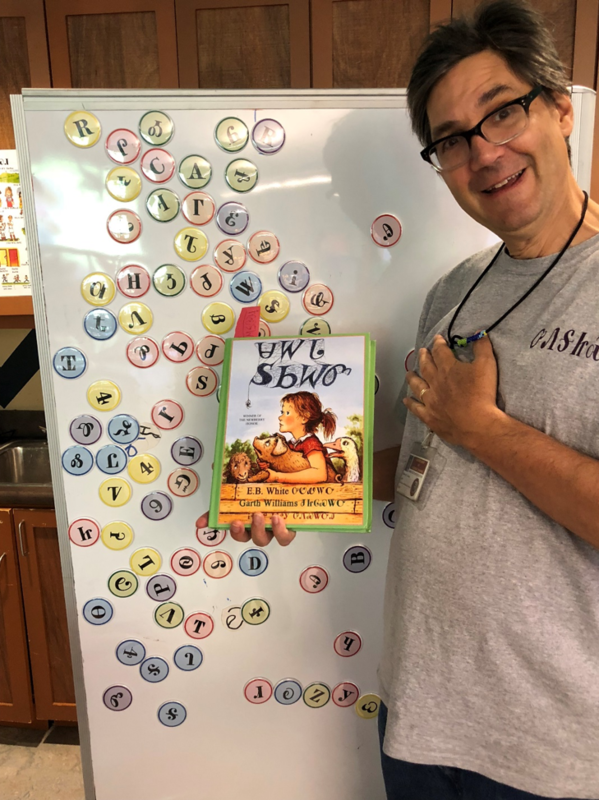 That’s led to the need for more books written in Cherokee for the youngsters. The students now have a cherished American classic to enjoy, Charlotte’s Web by E.B. White (1899-1985). Myrtle Driver, who is Cherokee, devoted three years to the translation. Hartwell Francis holds the Cherokee version of Charlotte’s Web, translated by Myrtle Driver. 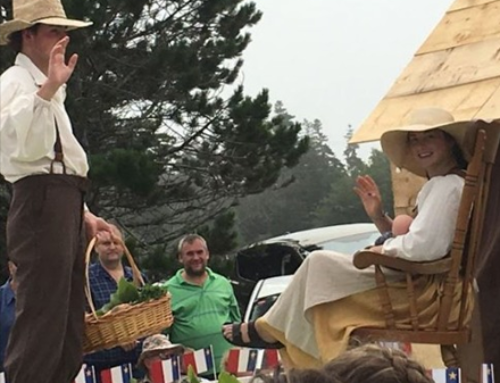 The granddaughter of E.B. White, Martha White, is the literary executor of the author’s estate. Myrtle Driver is Renissa McLaughlin’s mother. 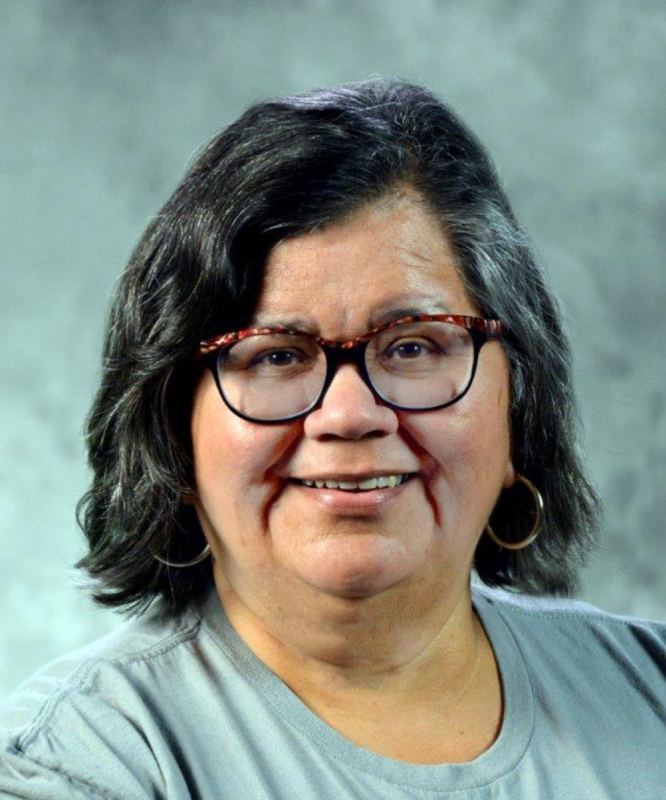 Ask Renissa if it’s too late to save the Cherokee language, and she will tell you. Hear more about the resurgence of the Cherokee language in Episode 30 of the America the Bilingual podcast, “A New Generation of Cherokee Speakers Rises.” Listen on iTunes by clicking here: America the Bilingual by Steve Leveen on iTunes. Or on SoundCloud here. Steve comments on Twitter as well. This episode was written by Mim Harrison, who also wrote these notes, and produced by Fernando Hernández, who does the sound design and mixing as well. 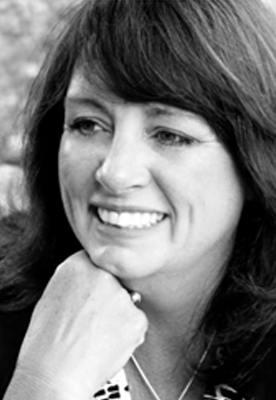 The associate producer is Beckie Rankin. Graphic arts are created by Carlos Plaza Design Studio. Meet the team—including our bark-lingual mascot, Chet—here.